Over the last 100 years, intensive forest management in the Pacific Northwest has changed the surrounding watersheds and their ability to provide essential environmental benefits such as flood protection, fish and wildlife habitat, drinking water, and recreational and cultural opportunities. That’s why EPA researchers are working with the Nisqually Community Forest (NCF) to improve forest management and help wildlife recover. The NCF is a group of local communities in southern Puget Sound aimed at acquiring private forest industry lands from willing sellers. The NCF is a working forest, owned and managed for the benefit of local communities. EPA researchers developed modeling tools for NCF to support their community-based forest management and salmon-recovery planning in the Mashel River watershed. The area was once a prime salmon producing sub-basin of the Nisqually River, located west of Mount Rainier. NCF staff are currently using EPA’s VELMA watershed simulator to estimate the long-term effects of alternative forest management and a changing climate on important salmon habitats and water quality. An overarching goal is to design management plans that emphasize forest thinning and robust riparian buffers, a strategy that VELMA simulations show can restore greater summer stream flows favorable to salmon spawning and rearing. Nutrient pollution is one of America's most widespread and costly environmental problems. 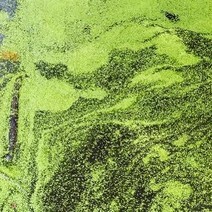 Too much nitrogen and phosphorus in the water can cause algae to grow faster than ecosystems can handle, resulting in environmental damage and serious health problems in people and animals. Nutrient pollution also takes a toll on the economy, hurting industries and sectors that depend on clean water. Federal, state, and local governments spend billions of dollars per year combating nutrient pollution. That’s why EPA and partners have launched the Nutrient Sensor Action Challenge. The Challenge is looking for demonstrations showing the effective use of low-cost sensors, innovative partnerships to pilot the sensors and data management, and proof of how collected data and information can be used in state and local decision-making. By proving successful strategies for incorporating nutrient sensors into existing water monitoring efforts, the Challenge can help states and communities overcome the major barriers to taking action to prevent and reduce nutrient pollution. EPA's Report on the Environment (ROE) is an interactive resource that shows how the conditions of the environment and human health in the United States are changing over time. Over 80 indicators, detailing the status or trend of various aspects of the nation’s environment or human health, are organized into five themes—Air, Water, Land, Human Exposure and Health, and Ecological Condition. The latest update to the ROE includes updated data for 31 indicators. Data used in the ROE are gathered from EPA, state and federal agencies, and non-governmental organizations, and are peer-reviewed to meet high standards for accuracy, representativeness, and reliability. EPA updates the ROE indicators on a rolling basis to provide the latest available data and adds new indicators when relevant. Explore the latest version of the ROE.